State Employees Retirement System plan for implementation of PA 87-552, flexible work time. 1. 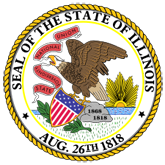 State Employees Retirement System Policy Statement (PA87-552PolicyStatement.pdf).